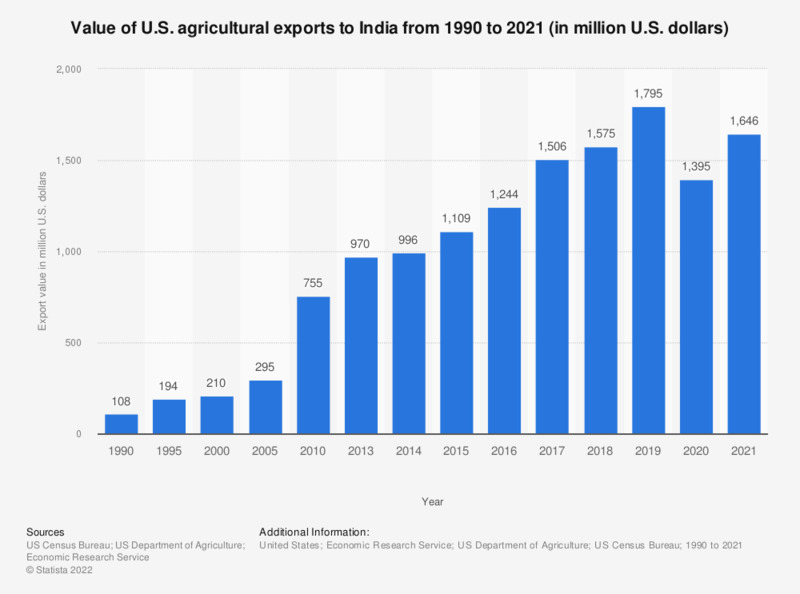 The timeline shows the value of U.S. agricultural exports to India from 1990 to 2017. The value of U.S. agricultural exports to India amounted to about 755 million U.S. dollars in 2010. The former 15 Republics of the Soviet Union, not including the 3 Baltic Republics. 2015 and former data are taken from previous reports.